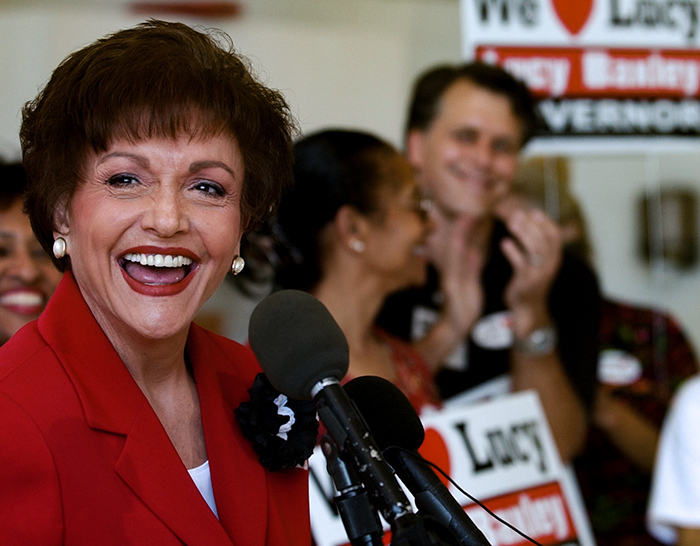 Lucy Baxley (1937-2016) was the first woman to serve as lieutenant governor of Alabama, holding office from 2003-07. She ran for governor against Bob Riley in 2006. Baxley also served as state treasurer and as a delegate to the 1996 Democratic National Convention.